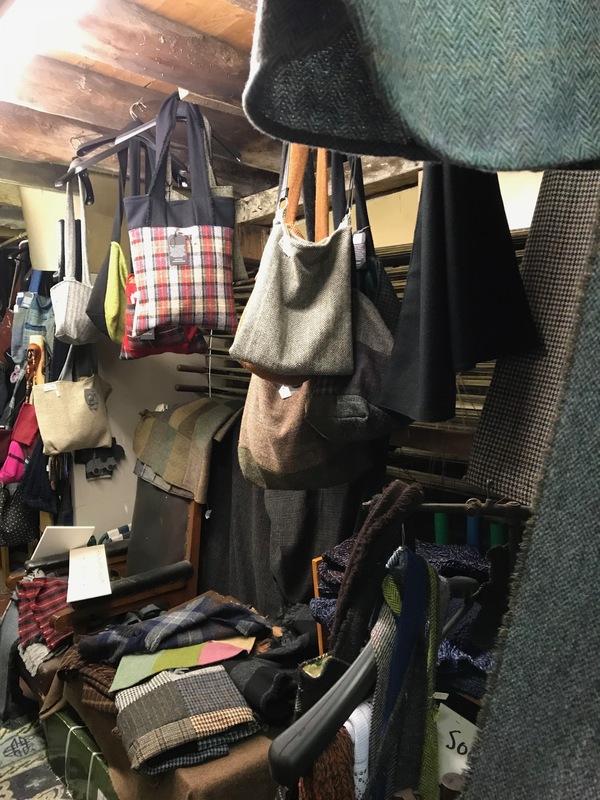 Our first trip into Stornaway was from Leurbost and we found this magical Aladdin’s cave that housed an incredible collection of Harris Tweed in all forms. 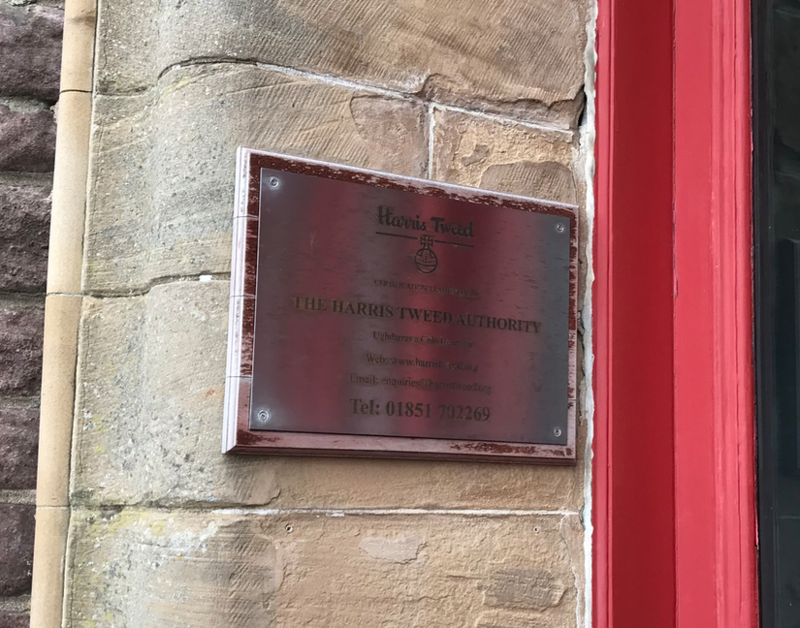 We did buy some tweed and then headed off to the building that houses the Harris Tweed Authority so we could get the full story of the importance of Harris Tweed to the Outer Hebrides. 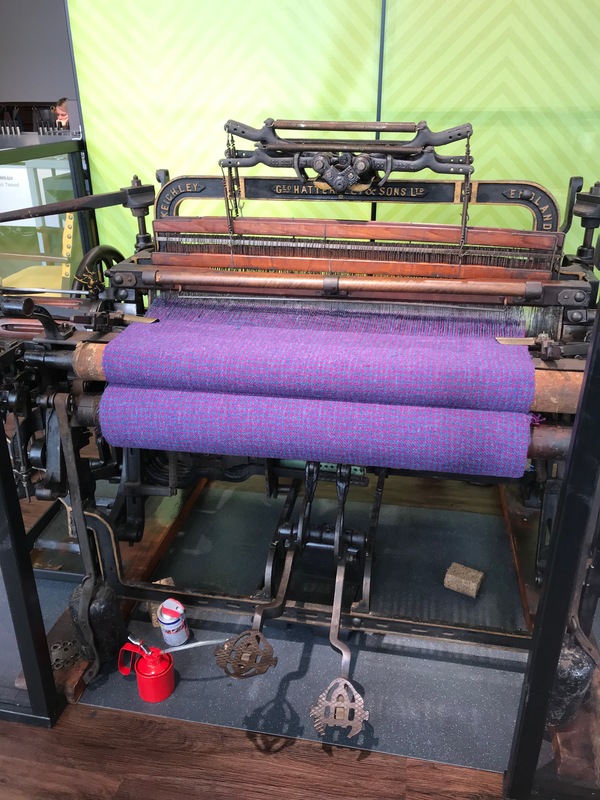 The exhibition in the building gave the full story of Harris Tweed. 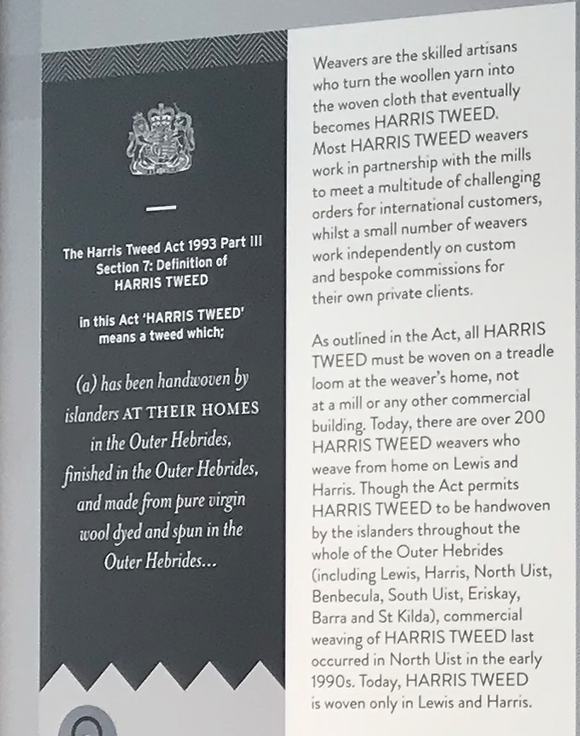 I didn’t know that there is an act of Parliament relating to Harris Tweed. This map shows the location of the weavers. We were able to see several looms and were given a description of how they operated. 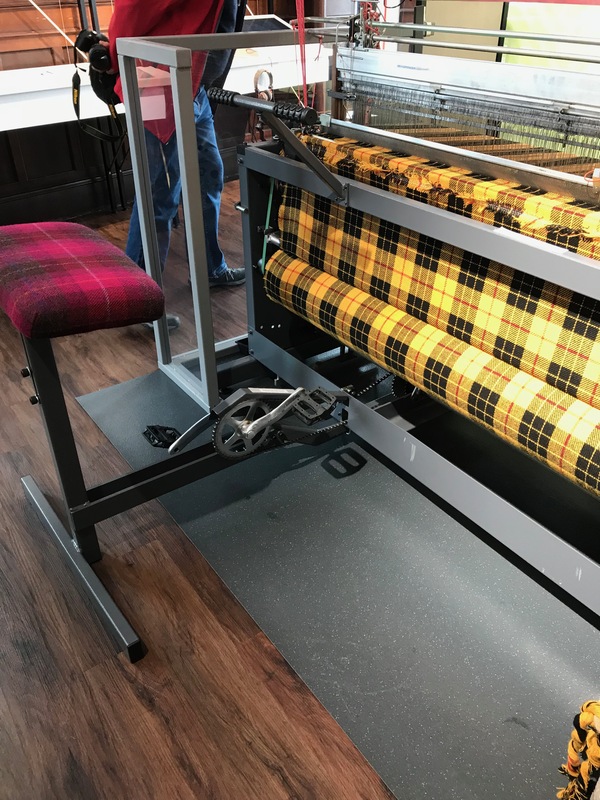 This last loom is operated like a bicycle and the tartan is Macleod of Lewis. 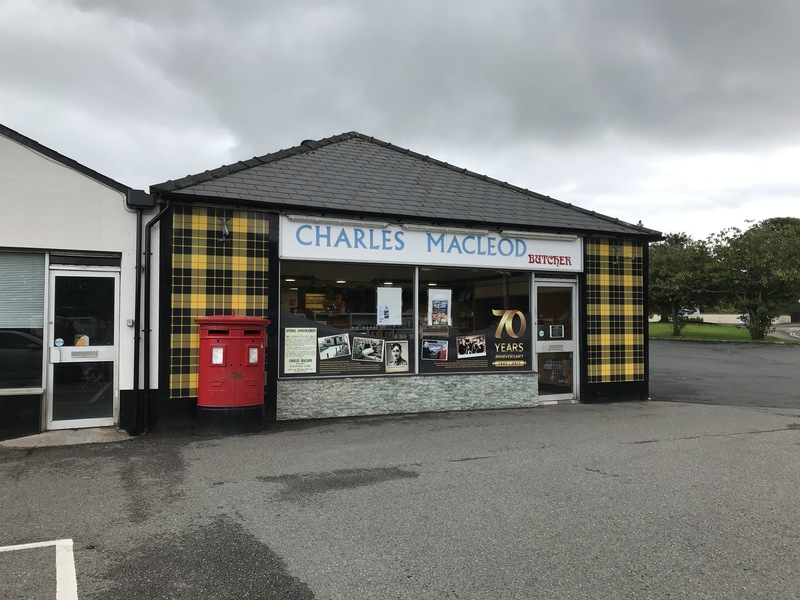 We took a photo of the butcher’s shop where apparently the best black pudding is made. 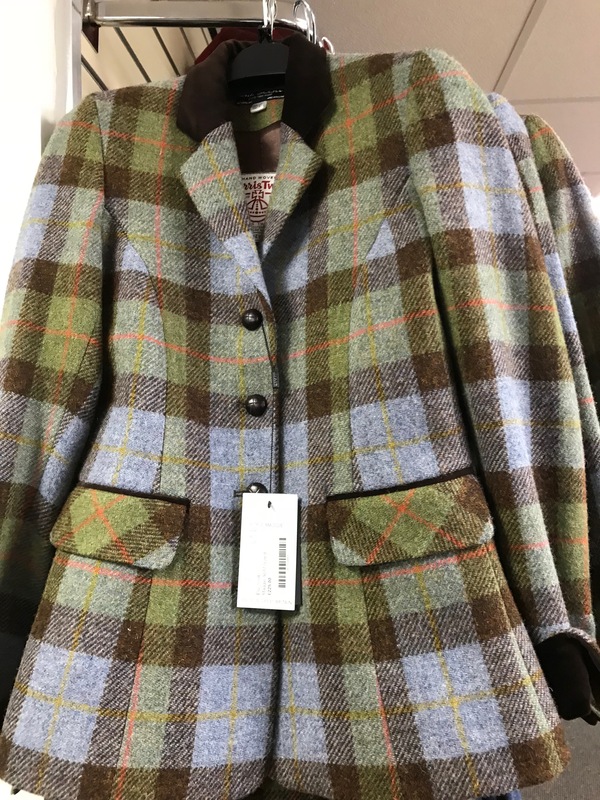 Back to the Harris Tweed. 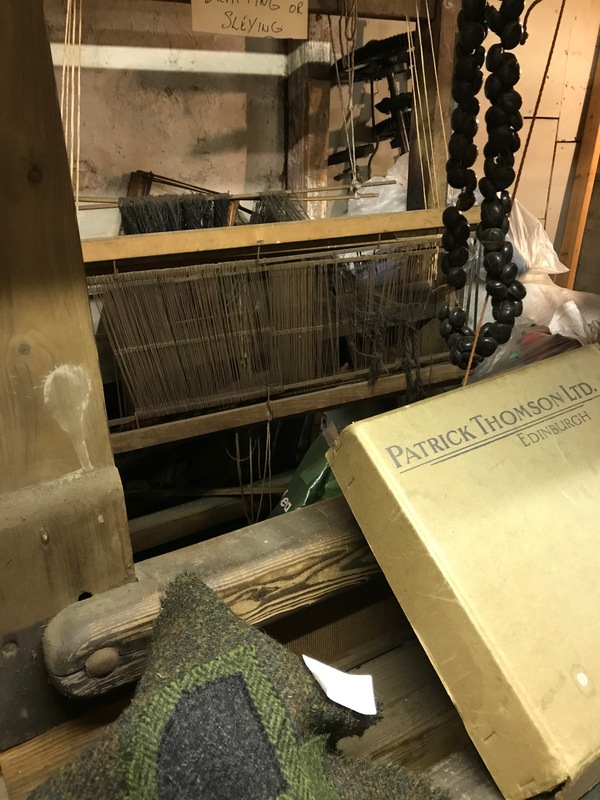 We were lucky enough to be able to visit a croft where tweed was being woven. 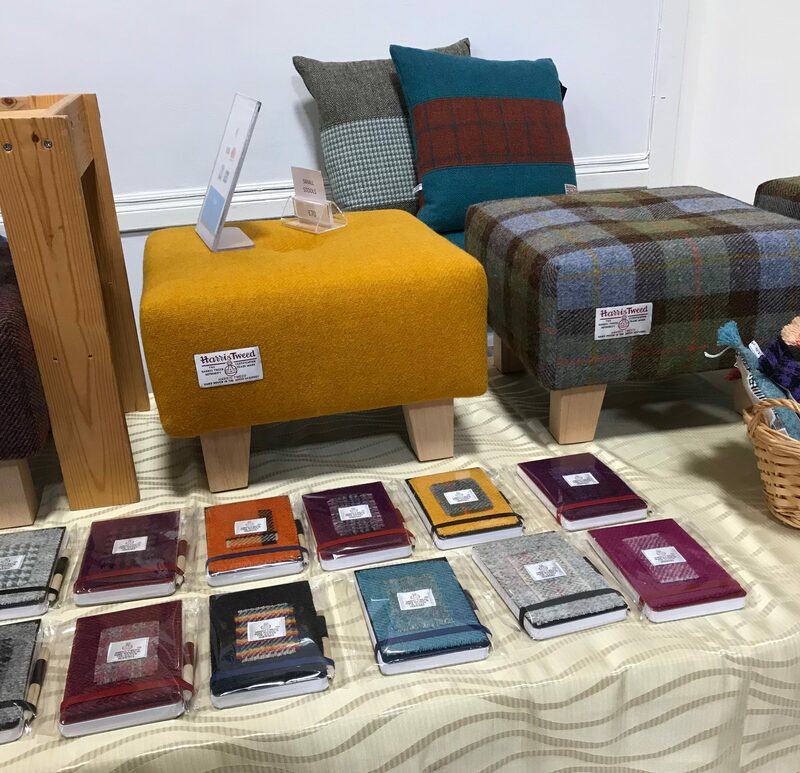 There are so many different uses of the fabric so I thought I would share a few photos of the items we spied. 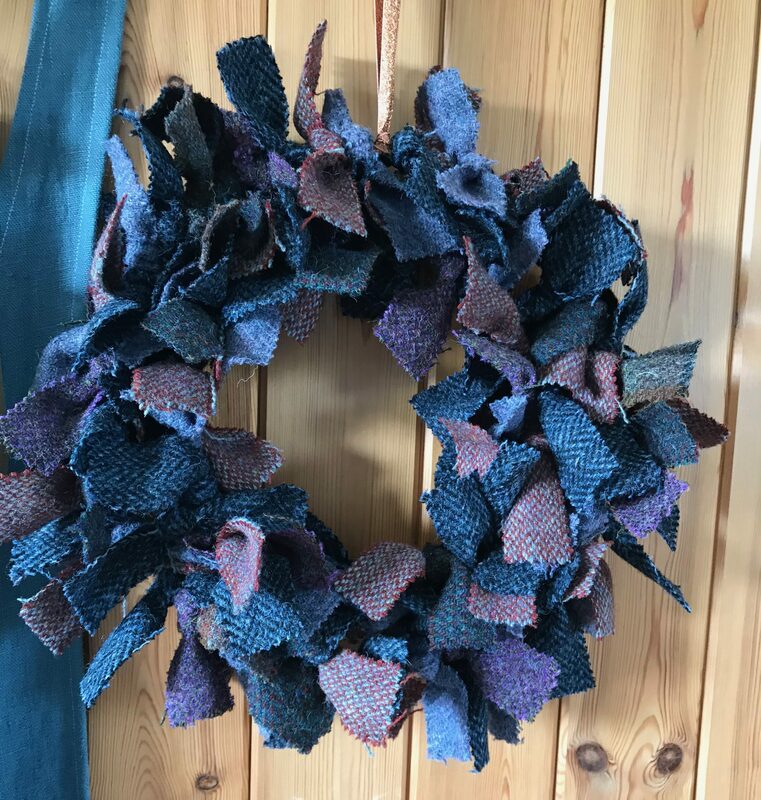 The last one is a great way to use up scraps. 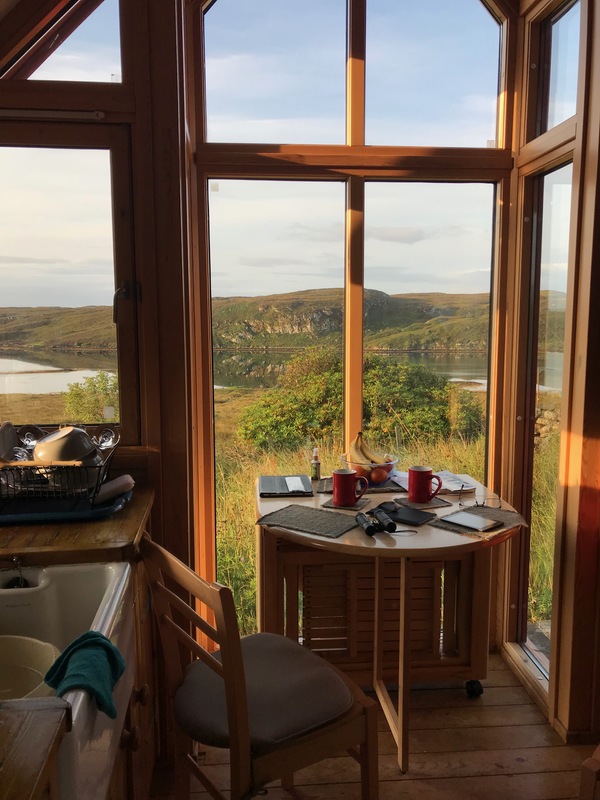 This is the view from our dining table in the little cottage we rented for eight days on Lewis. The cottage was a delight although when we first arrived we we rather skeptical about what it would be like inside as the area around the house looked rather neglected. 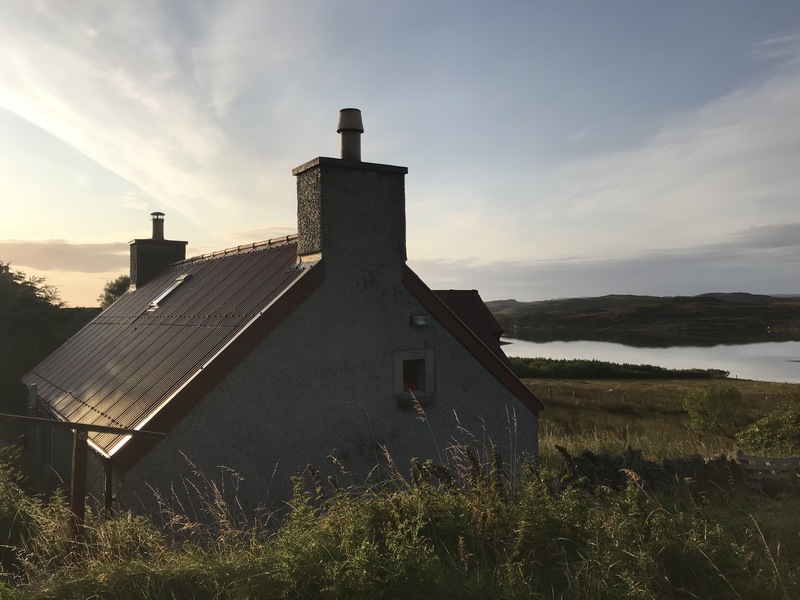 We were provided with an amount of electricity on arrival then we had been instructed to get money put on the electricity by removing a USB stick on the meter and taking it to the local garage/store. This worked fine after we realised, like most computerised things that don’t work the first time, you need to take it out and put it back in again. All was good. 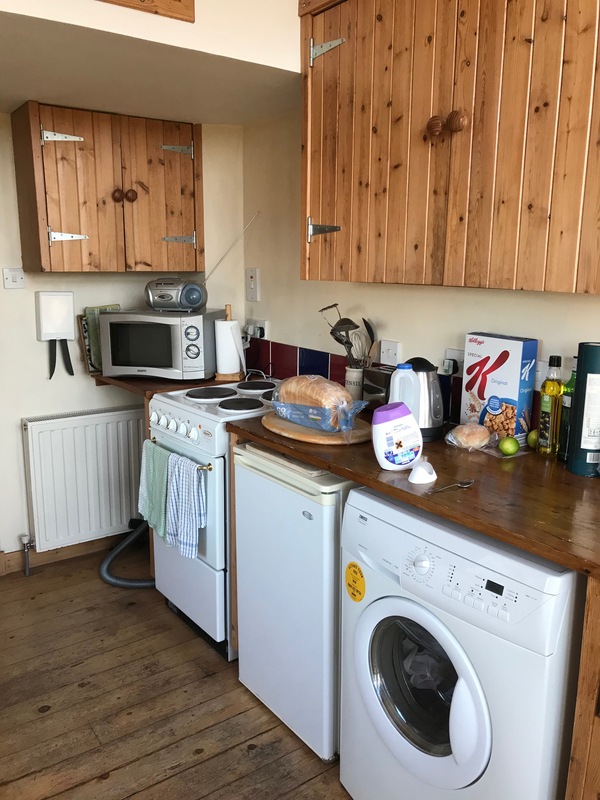 The entry was into the kitchen which had all we needed for our stay. 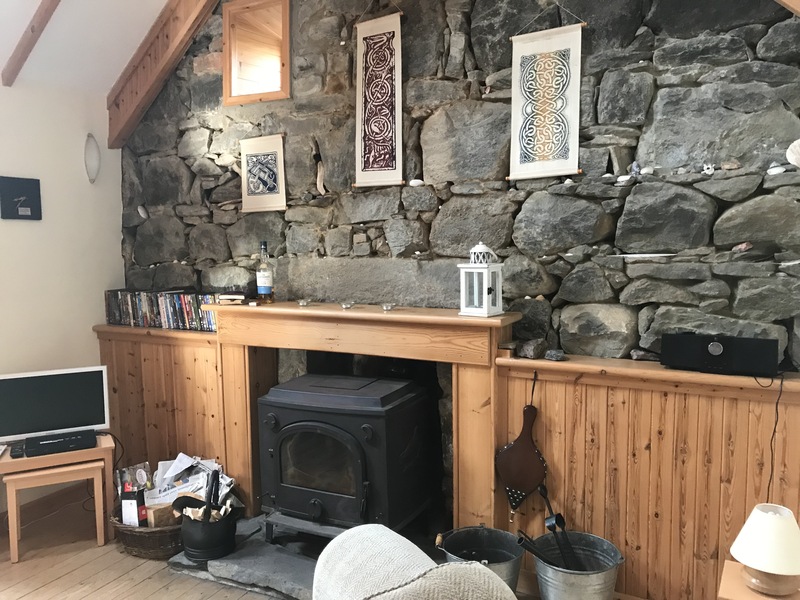 The sitting area had a terrific log fire which we made use of on the colder nights. 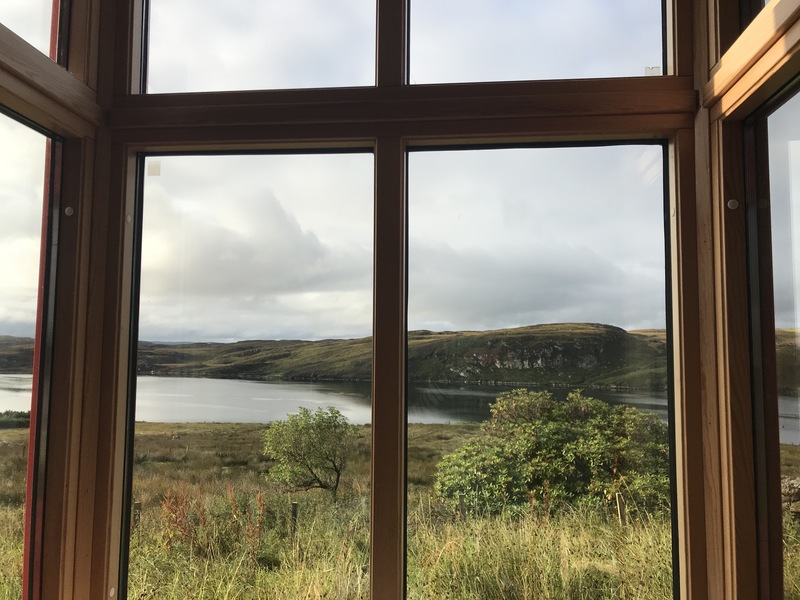 Our meal area had the most magnificent views and we could watch the boats on the loch and we were lucky enough to spy seals and otters in the loch. 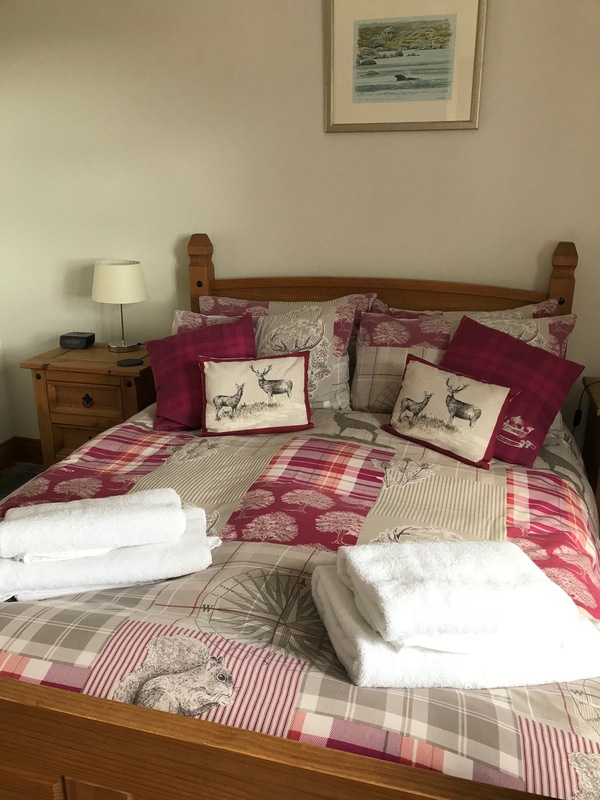 The accommodation was excellent and we enjoyed our eight days there. We had time to explore Lewis and Harris thoroughly. More about that later. 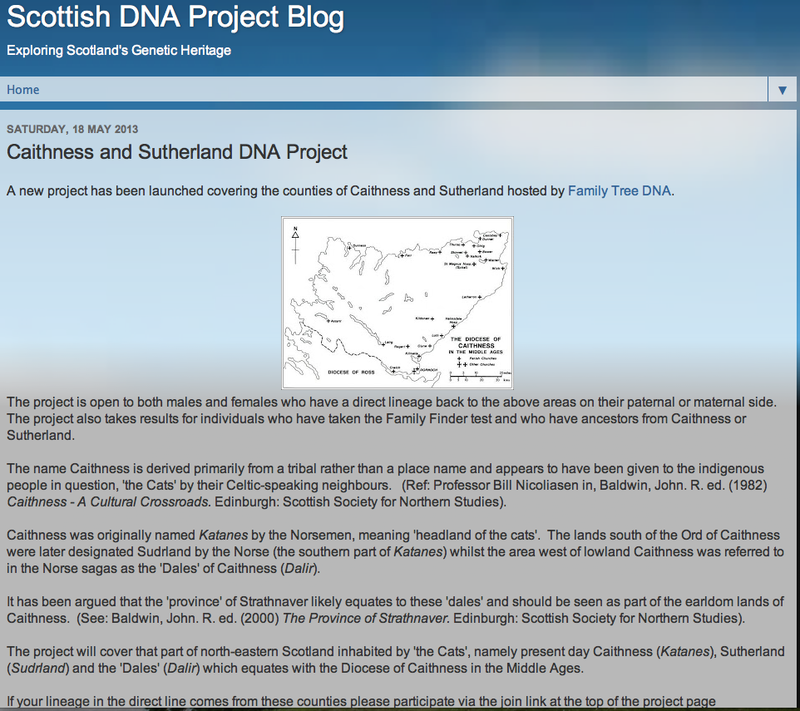 When you visit the Outer Hebrides you must make reference to the Outer Hebrides website. It gives you all the information you could possibly want. 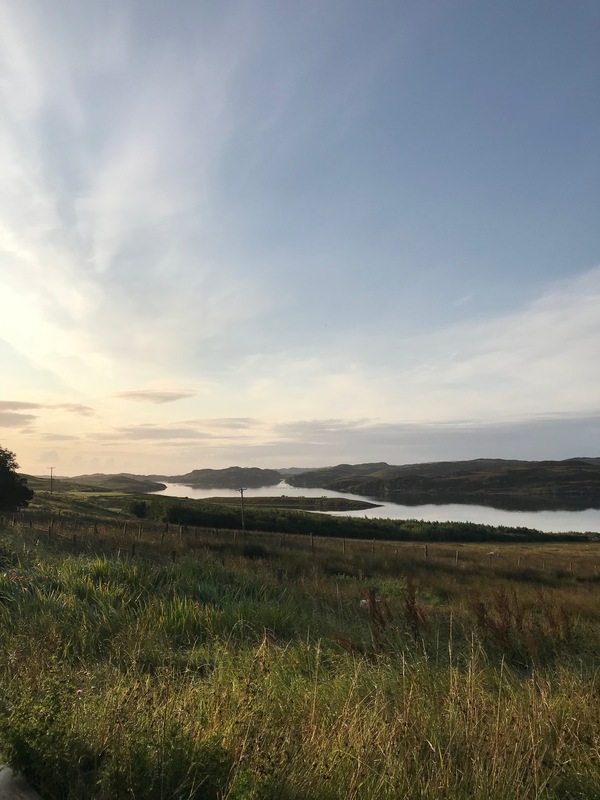 We know we must return to the Hebrides in order to visit many of the attractions we didn’t have time to visit on this trip. 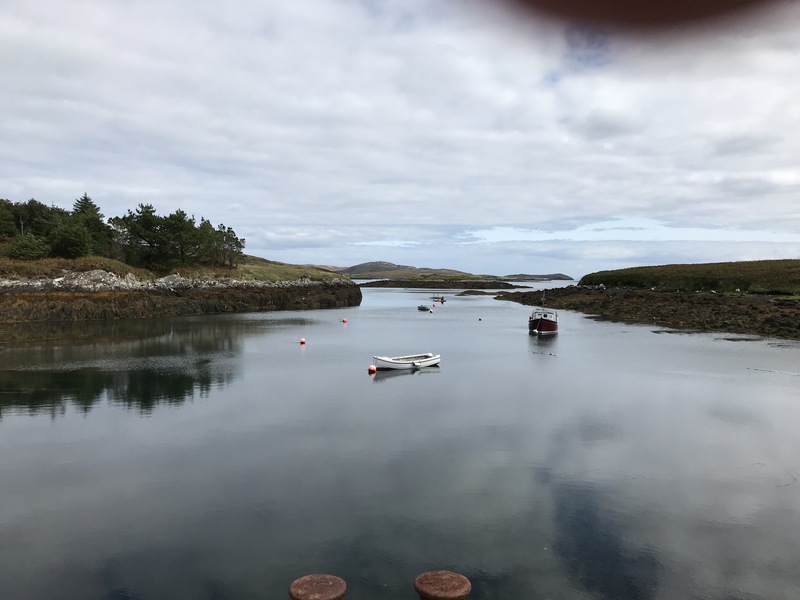 This tranquil setting is at Lochmaddy on North Uist. 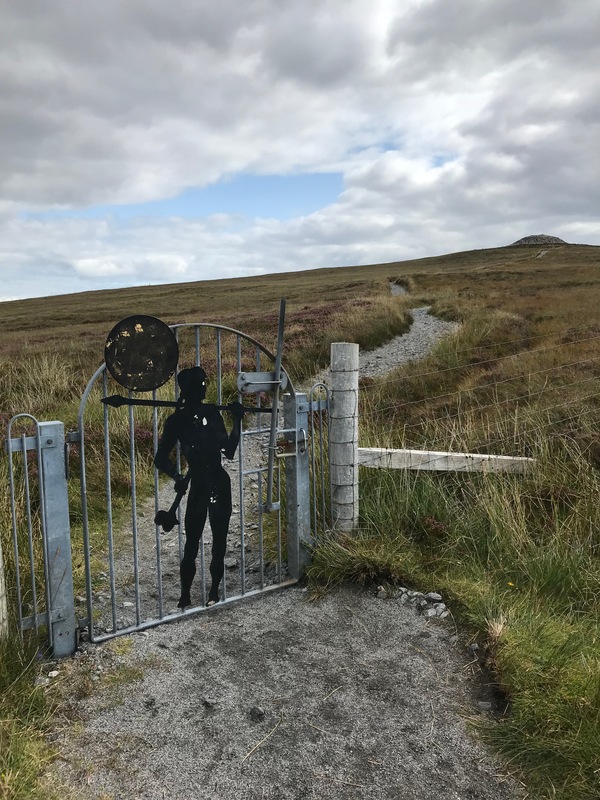 Named for the dog-like islets that guard its entrance, Loch nam Mahadh – the Loch of the Hounds is the village capital and main settlement on North Uist. The pretty village on the loch with Scandinavian type buildings is reminiscent of Shetland or Orkney. 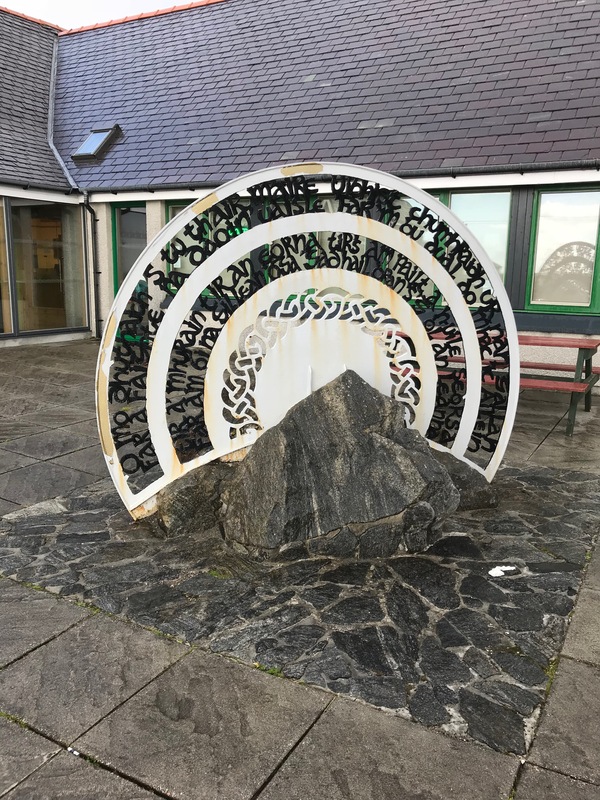 It is also the terminus for the ferry to Uig on Skye. 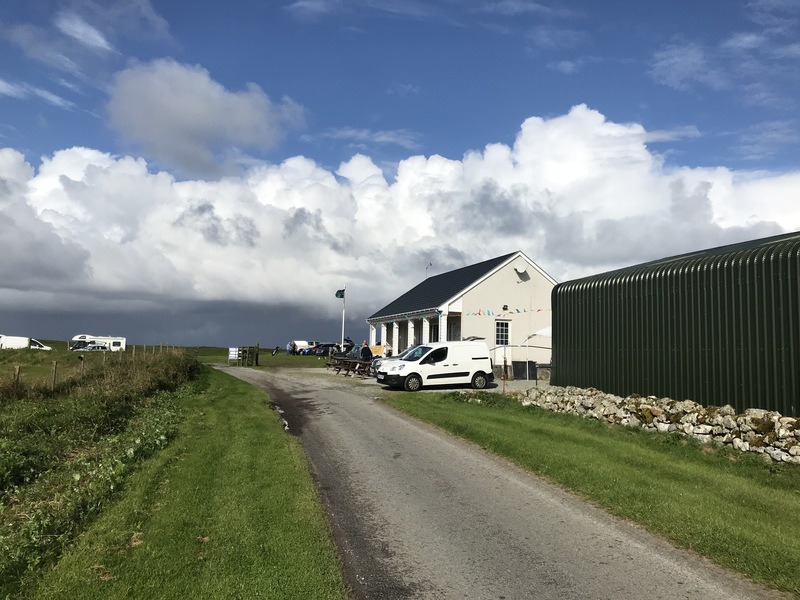 The nearby Taigh Chearsabhagh museum and arts centre runs a cafe, small shop and post office service and is also home to Uist Film. It is a most unassuming little place that hides a wealth of information. We spent a couple of hours in the museum and arts centre and found reading all the information really fascinating. 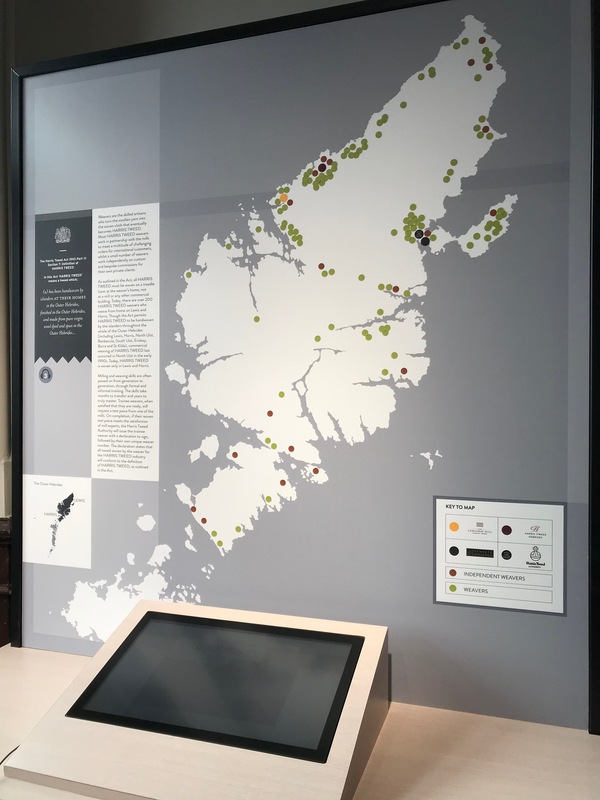 There were many boards like this one telling us of what life was like on North Uist and giving explanations of how life has changed there over the years. 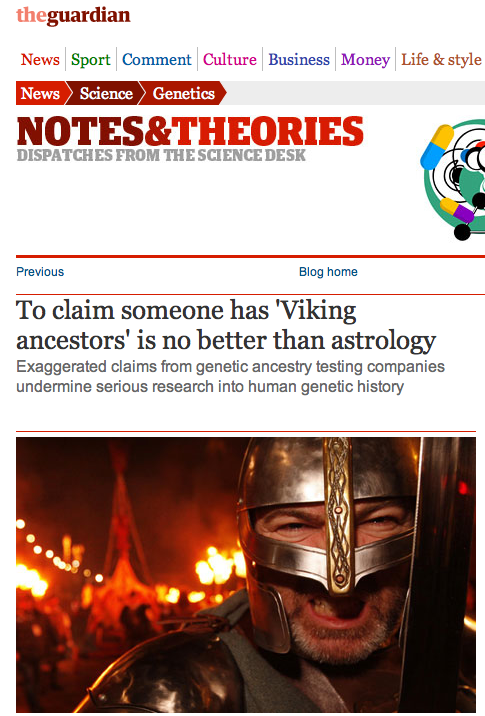 It made for really interesting reading. 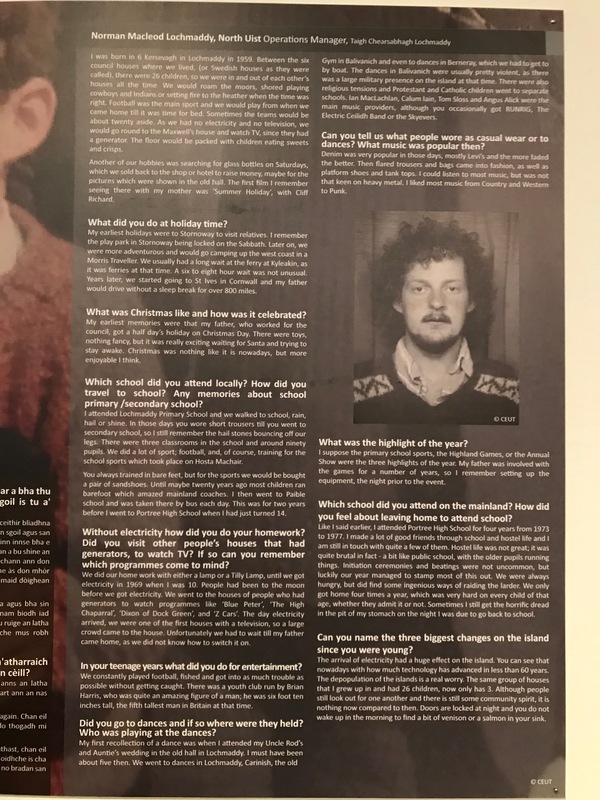 I discovered that Malcolm (Calum) Macdonald, one of the founding members of the band Runrig was born in Lochmaddy and his brother was born in Dornoch. There was an extensive exhibition about the band and the brothers’ involvement. 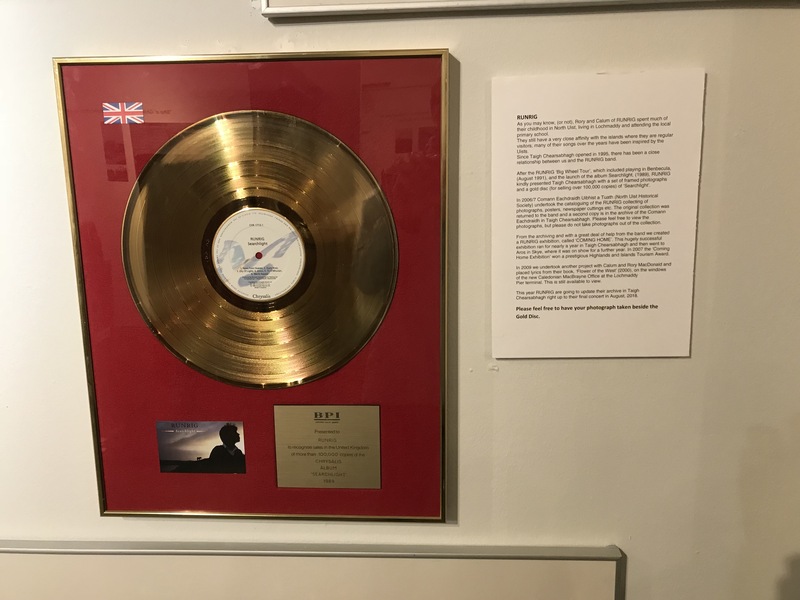 The band’s limited edition gold record was also on display. They played as a support band for many famous groups including The Rolling Stones. The band wound up in January 2016. 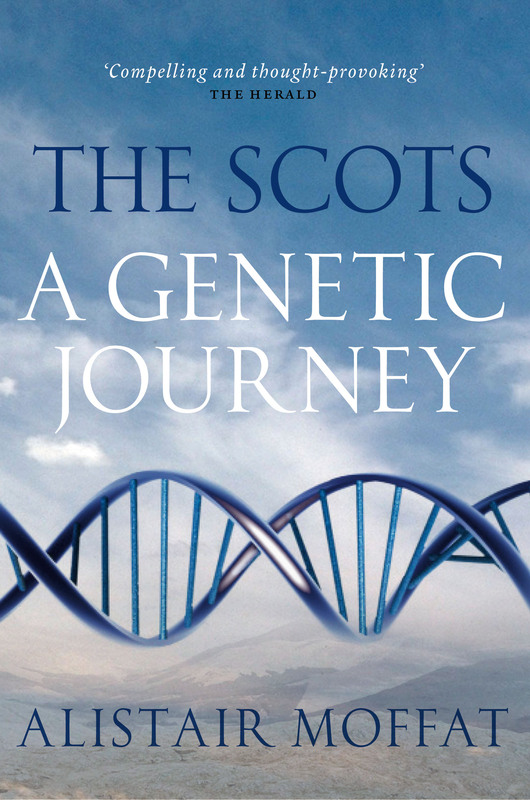 Runrig, the unlikeliest of rock icons gives the full story of this remarkable Scottish band. 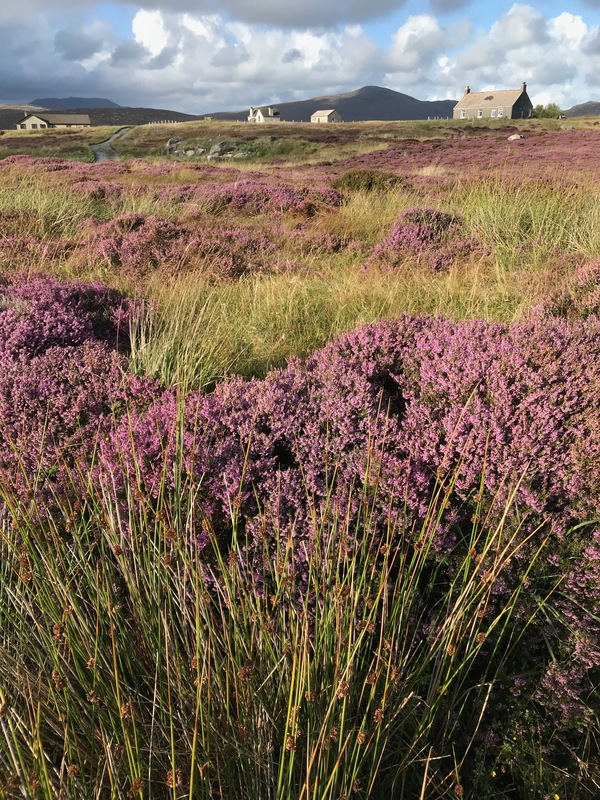 South Uist had so much to offer in the way of scenery and things to see and do. 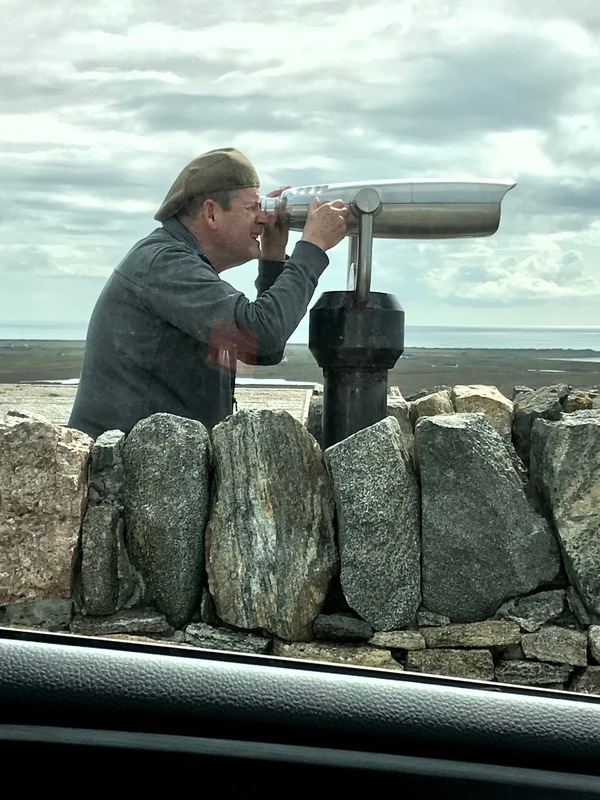 The following day we set out first to find the salmon smoking facility, Salar, that had been recommended by our hosts on Eriskay. Our journey took us to some of the more remote parts of the island and we were fortunate enough to come across some of the wild ponies. The salmon smoking facility wasn’t manned when we visited but we got to see where the smoking of the salmon would take place. 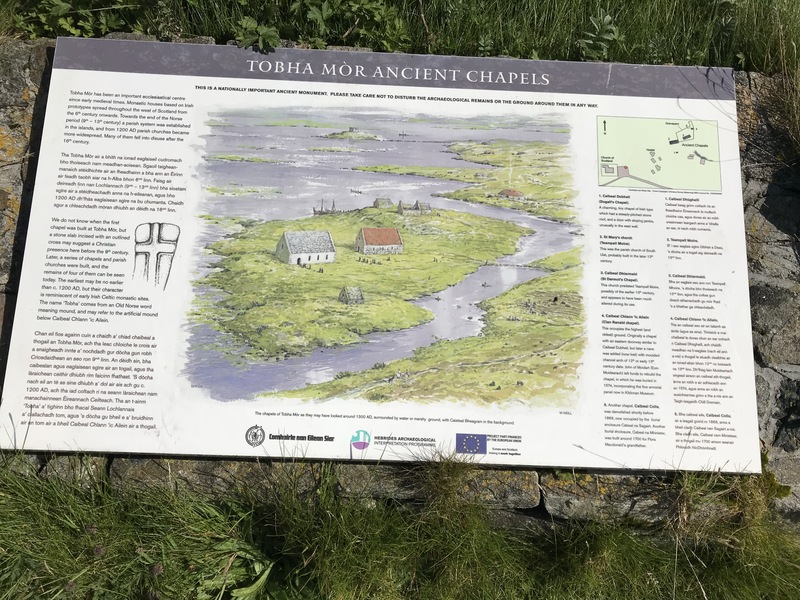 We also visited Tobha Mor, the site of ancient chapels. Further along the road we found a vantage point where we were able to view the island of St Kilda. We then made the trip to Barpa Langass site of a 5000 year old burial chamber. if you click on the picture you should be able to enlarge it so you can read the information. From the road it looks just like a pile of stones but it is oh so much more. 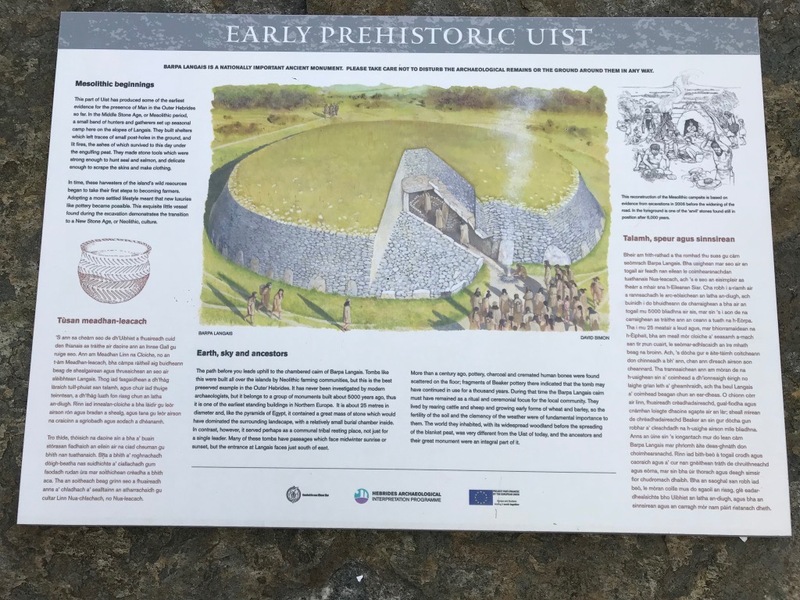 The information panel explains it in detail. The entrance is round the back of the mound of stones. The gateway heralds the walk up to the mound. 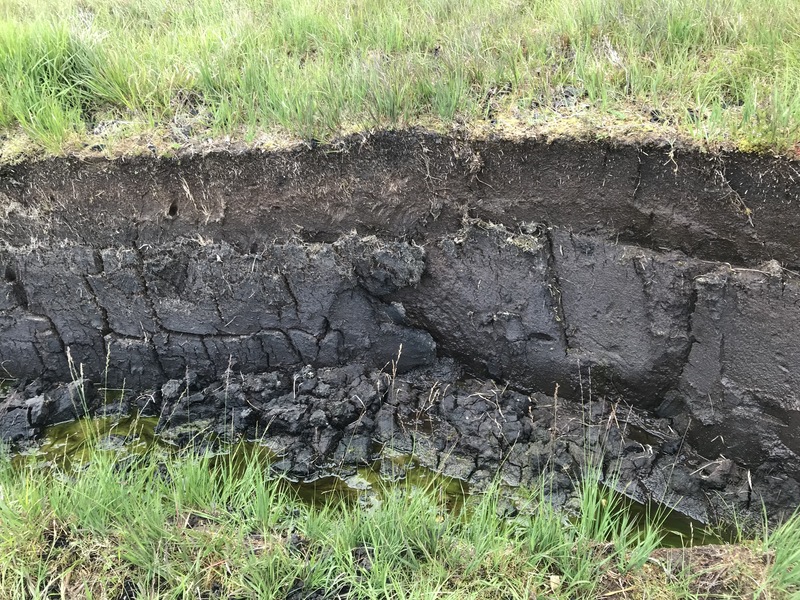 All over the islands are the peat banks and at Barpa Langass there was an excellent example of the cutting. That night we had an excellent meal at the Westford Inn. It was delicious. Now I wonder if this place is on the bucket list of golfers? 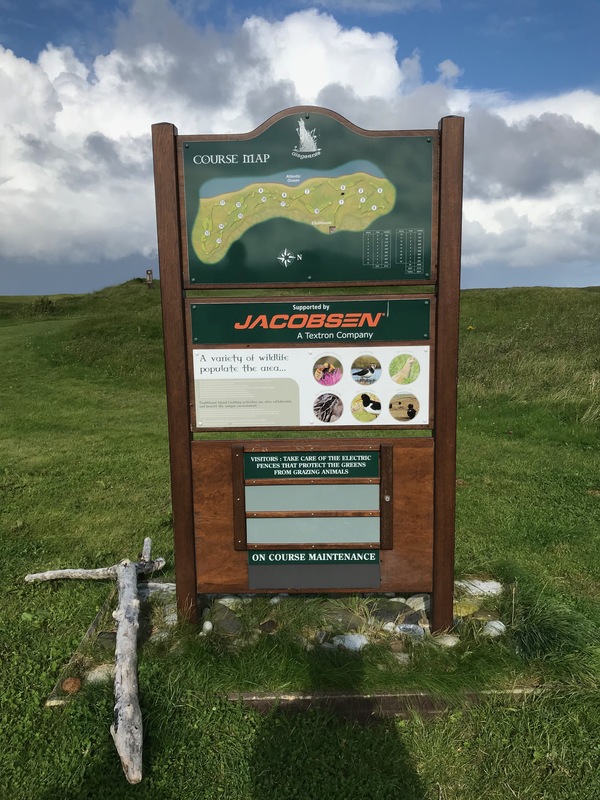 While driving on South Uist we came across a sign advertising a golf tournament at this golf course. The tournament was a big occasion for South Uist and we were surprised to find this golf course here. 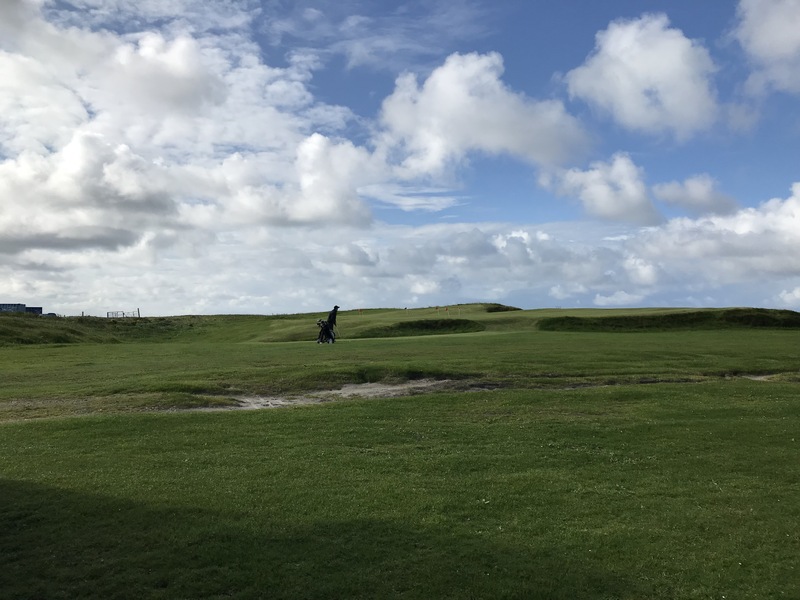 The course had been designed by Tom Morris who is well known to golfers as the man who designed the new golf course at St Andrews in Scotland. Some say he was the greatest golf architect that ever lived. He has designed many golf courses and the story behind the course at Askernish is an interesting one. You can hear about it on the video. The club house is not imposing and when we were there they were preparing for the golf tournament. It was a beautiful day when we were there although extremely windy so close to the sea. Another stop off for us in South Uist was the Kildonan Museum. 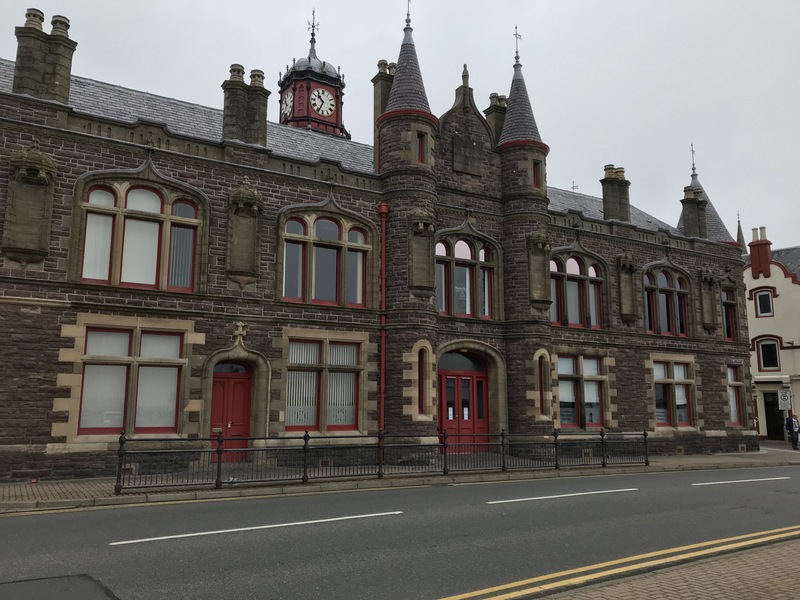 It is not a large museum but certainly well worth a visit. 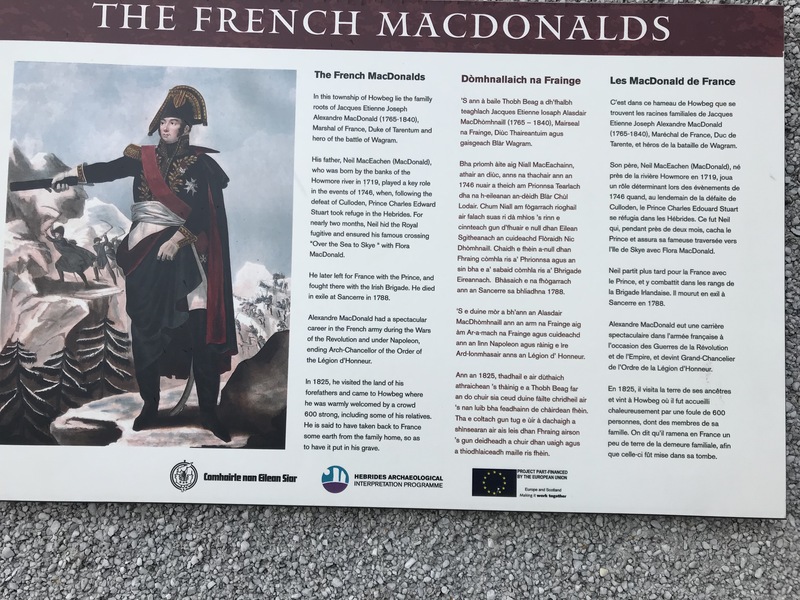 Not one of the French Macdonalds but Flora Macdonald was born in South Uist and there are various memorials to her in Scotland. 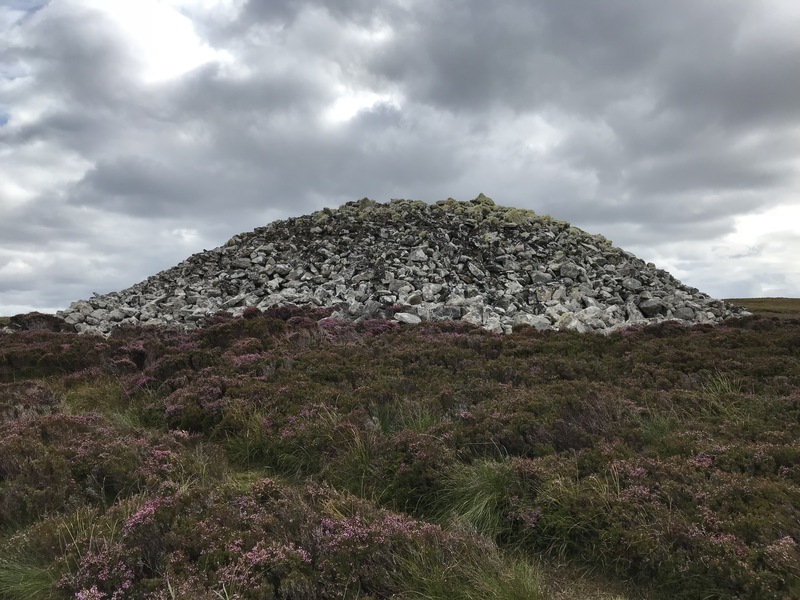 There is a memorial cairn at the ruins of the Milton settlement on South Uist where she was born. She is best known for her role in helping Prince Charlie escape from Scotland after his defeat in the Jacobite Rebellion. This is the countryside just close by our bed and breakfast, Heron Point. Our b&b was delightful and that night we enjoyed dinner at the Polochar Inn. North Uist was our destination the following day.